Metrology, while often confused with the science of measuring weather (meteorology), is a very widely used field. In this blog we often discuss one form of metrology, but there are actually three major types of metrology used in today’s world. Let’s take a look at the three different types of metrology. Industrial Metrology – Industrial metrology’s purpose is to ensure that instruments, used in a wide variety of industries, are functioning properly. An example of this type of metrology might be seen in the production of products for the commercial industry, the testing and designing of aircraft, the functioning of large machinery, or even in factories using rotating equipment during the manufacturing of their products. Scientific Metrology – This form of metrology deals with the organization and development of measurement standards and with their maintenance. As you might expect, scientific metrology is deeply involved with research and new technologies for industries concerning government, healthcare, and research for commercial products. Legal Metrology – Concerned with the measurements that influence economic transactions, legal metrology is a very refined type of metrology. This field does not use physical tools as the other fields of metrology use. Instead legal metrology focuses on the buying and selling of materials for economic studies. Also, legal metrology can also be used for law enforcement fields. 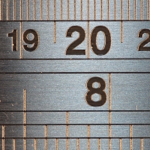 Schaeffer Precision Alignment often describes itself as a “metrology” company, yet in reality we are an INDUSTRIAL METROLOGY company concerned with providing physical measurements of machinery, tools, and dimensions for companies around the world! Want to learn more about the tools we use in our metrology services. Take a look at our laser tracker services page or give us a call to learn how our measurement services can help your business achieve better products and faster production.